This book is published in association with the Ruskin School of Art at the University of Oxford. 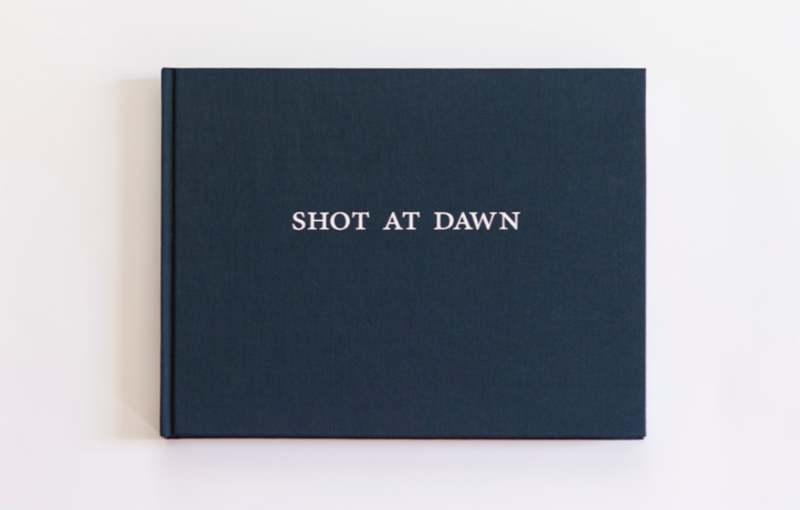 Produced over the eighteen month period leading up to the centenary of the outbreak of the First World War, Shot at Dawn is a new body of work by the British photographer Chloe Dewe Mathews that focuses on the sites at which British, French and Belgian troops were executed for cowardice and desertion between 1914 and 1918. The project comprises images of the locations at which individuals were shot or held in the period leading up to their executions and all were taken as close to the exact time of execution as possible and at approximately the same time of year. Texts by Geoff Dyer, Sir Hew Strachan and Dr. Helen McCartney.